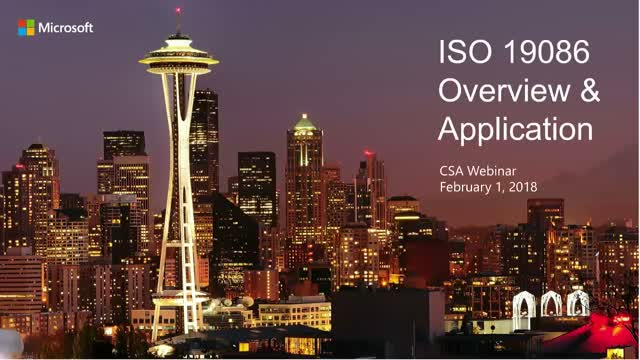 In this webinar, we will take a look at ISO/IEC 19086 which is an international standard for cloud service level agreements (SLAs). Specifically, we’ll discuss the impetus for establishing the standard in the first place, the scope of the work, organization of the parts, key elements and putting the standard to work. 19086 does not prescribe a template for SLAs but rather provides elements to consider when negotiating and drafting SLAs. 19086 introduces Service Qualitative Objective (SQO) as a new term and we’ll discuss the relationship between SQOs and the more traditional SLO (Service Level Objective). We’ll also discuss the relationship between SLAs and cloud service agreements (CSA) and other documents that can be part of a CSA.